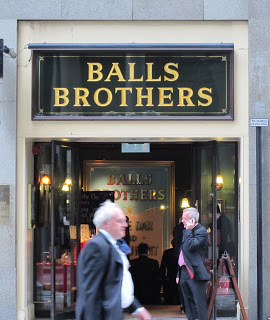 OK, OK I was a little bit cruel to Balls Brothers in my Dion post, but do you know what? I went there this week and I was kind of right. 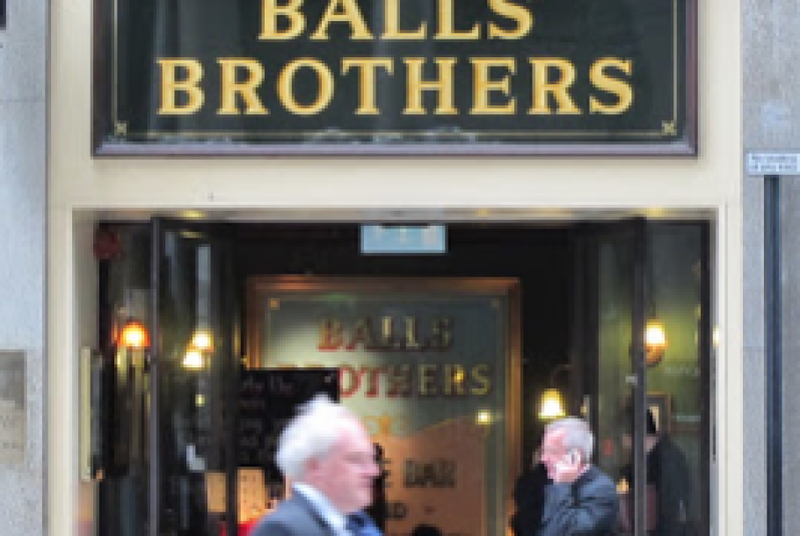 For the sake of clarity, I have never eaten at the restaurant part of a Balls Brothers, but I have eaten in the bar bit numerous times at numerous locations. 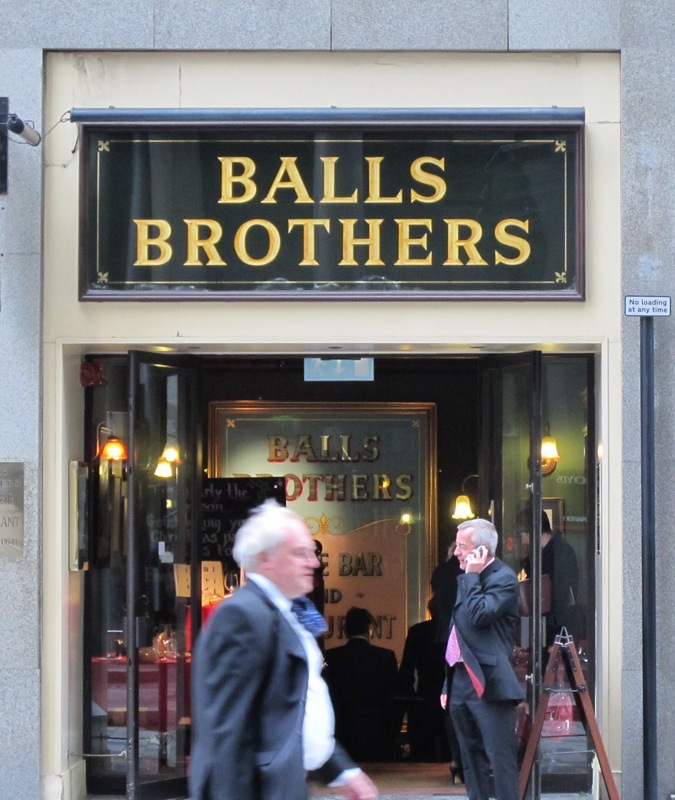 Balls Brothers are like the McDonalds of the City. They are everywhere you look. There are nine locations, and within a five minute walk from the office I can count four. All the locations I know are in basements, and they tend to be quite dark affairs. Burgundy walls and ceilings, wall lamps scattered throughout and framed Victorian style prints on the walls. The type of place where after emerging from lunch into the bright of day you kind of have to blink a few times. The small tables seemed to be scattered everywhere. You get the feeling they want you to think that the place is from older times. Balls Brothers does attract an older crowd, but to be fair I thought the food was better than Dion even if the decor was not really my taste. Our group of three shared the cocktail sausages to start, then a selection of three sandwiches, some chips and some more sausages (which I think were mistakenly ordered). For the sake of comparison with my meal at Dion I ordered a smoked salmon sandwich. The bread was denser and the salmon better. The prices are also much more reasonable. All the sandwiches and light bites are between GBP5-10. I suppose they make their money on the wine, but that too is reasonably priced with bottles starting at GBP19. The staff are polite, and service is fairly efficient. They are popular, and you’ll find many of the tables reserved when you arrive. It’s a solid choice for a wine bar, but there’s just something a bit frumpy about the affair. I feel like I should be alot older, male and talking about my golf game on the weekend. But maybe that’s just me. Good For: A casual work lunch or just a casual glass of wine. 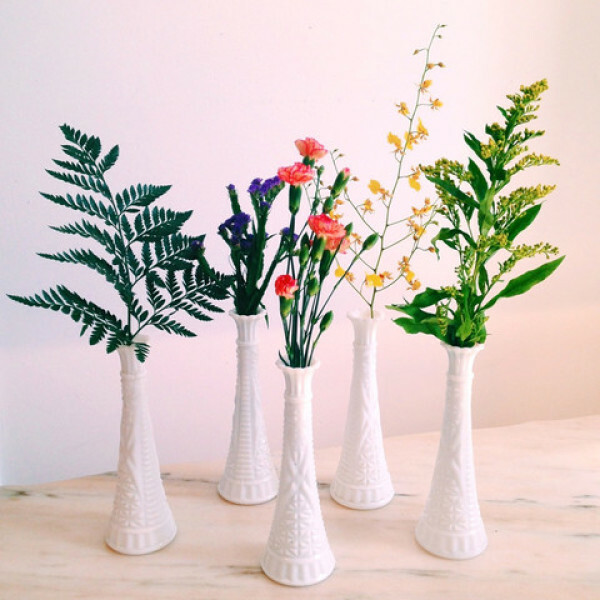 Just found your blog- am thoroughly enjoying plowing through the archives. Just relocated to London from Sydney- am loving having some wise recommendations on where to go! 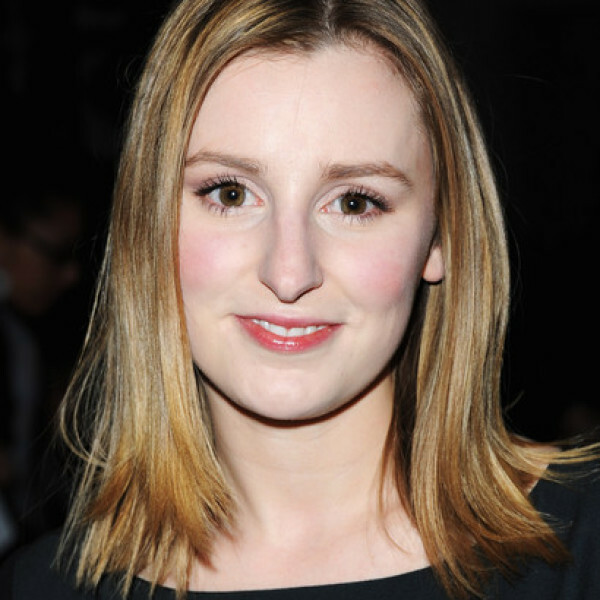 Tori, I am so happy you are enjoying my blog! 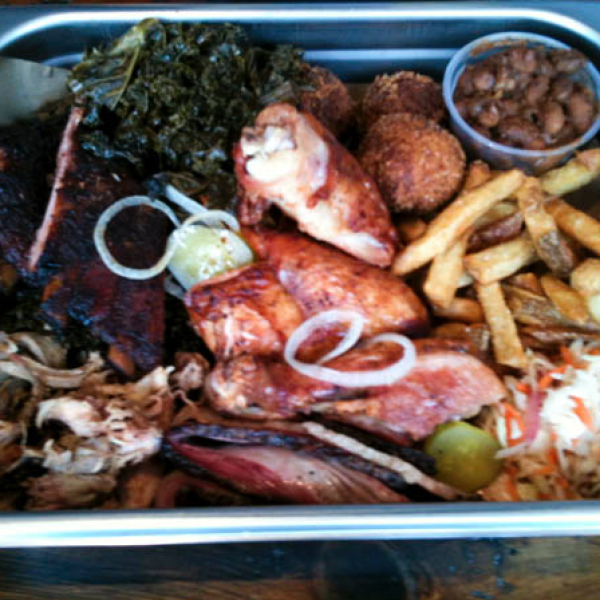 I am shortly moving to Montreal (middle of next month) but I still have a ton of restaurant reviews to post!